Among the various attractions located within the historic, World Heritage site of Malacca city is an interesting site, in the form of the Malaysian Youth Museum (Muzium Belia Malaysia). Established in 1992 and inaugurated on April 15, 1992 by the then Prime Minister, A.B Datuk Seri Dr. Mahathir Mohammad, the Malaysian Youth Museum chronicles the history of the activities and achievements of youth groups in Malaysia. The central theme of the museum is no doubt unusual but stimulating for this museum celebrates the youth of Malaysia and highlights the hard work and accomplishments of youth organizations from within the area and around Malaysia and beyond. The museum’s exhibits include photographs of past and present youth leaders, along with several trophies and awards that have been awarded to Malaysian youth groups and cooperatives down the ages. Also on display are some uniforms belonging to various youth leaders and diverse handicrafts crafted by various youth groups. The Malaysian museum by way of its exhibits and presented information, aims to centralize all the available information on youth organizations in order to facilitate research. It also aims to generate greater public awareness about the importance of youth organizations and the role they play in a development of a nation. The building that houses the Malaysian Youth Museum has a history that is almost as interesting as the exhibits of the museum. The historic edifice that hosts the museum was once a part of the Dutch Administrative Complex during their occupation of Malaya in the 17th century. It then went on to serve as the Anglo-Chinese school, until the British converted it into the General Post Office in 1931. A small post office in fact continues to operate from a corner of the premises until today. 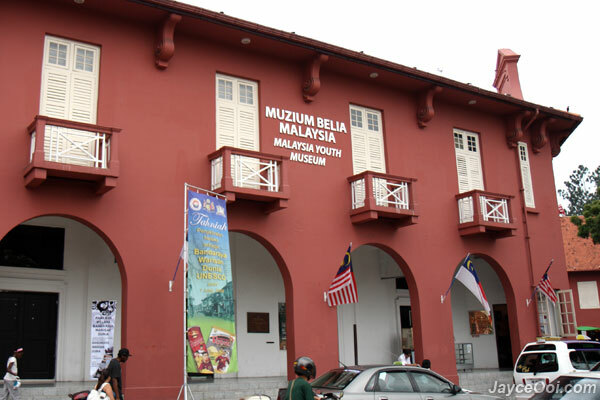 The second floor of the museum plays host to an art gallery, the Malacca Art Gallery. This gallery showcases the artistic talents and creativity of various local Malaysian artists by way of its many exhibits which consist of more than 150 paintings and thirty sculptures. A tour of the Malacca Art Gallery is definitely recommended on any visit to the one of kind but definitely thought-provoking Malaysian Youth Museum.